Kedah is a state located at the northwest region of Malaysia which is most famous for its tropical island of Langkawi, also known as the Jewel of Kedah. People travel in and out of the island on a daily basis for both pleasure or work. On the other side, is the mainland of Kedah is equally as exciting with plenty of activities for you to explore at places such as Sungai Petani. 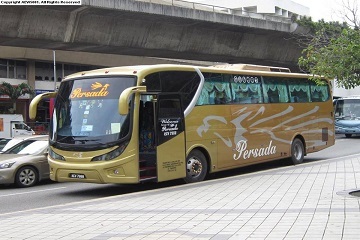 The town of Sungai Petani is where bus company Persada Travel and Tours Sdn Bhd is located to cater to local folks living or those travelling in Peninsular Malaysia. 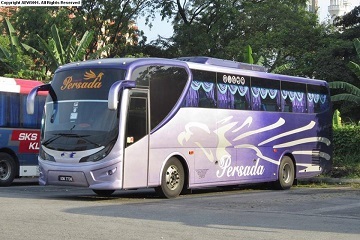 Its sub-company Persada Travel and Tours (TBS) is one of the most well-known transport providers that caters to trips from the Klang Valley. For your next trip from Kuala Lumpur out to Seremban or Penang, remember to book your bus tickets online through Easybook’s website! 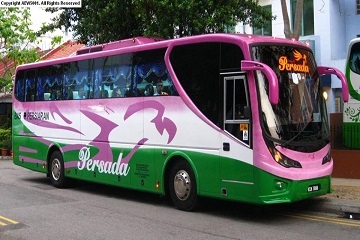 The main routes for Persada Travel and Tours (TBS) usually travels from Kedah to Kuala Lumpur, Selangor and Negeri Sembilan with pick-up points located at Alor Setar, Gua Chempedak, Gurun, Kota Sarang Semut, and Sungai Petani. Your drop-offs will be at the main bus terminal stops over at Hentian Duta, Kajang, Klang, Nilai, Putrajaya Sentral, Shah Alam Terminal and Terminal Bersepadu Selatan for your convenience. Persada Travel and Tours (TBS) can take you to the chilly-weathered town of Genting Highlands too! 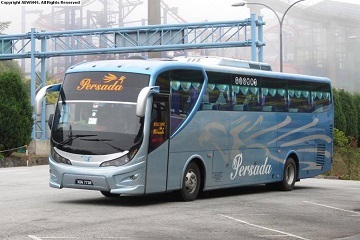 Among some of the most popular destination travelling from Terminal Bersepadu Selatan (TBS) in Kuala Lumpur with Persada Travel and Tours (TBS) are those heading to Amanjaya Ipoh Bus Terminal, Kamunting and Parit Buntar in Perak; Alor Setar, Kulim, Sungai Petani in Kedah, and Butterworth in Penang. Seremban in Negeri Sembilan is also a well-received town for Persada Travel and Tours (TBS) with trips heading out to Kulim in Kedah, Butterworth in Penang, as well as Amanjaya Ipoh Bus Terminal, Kamunting and Parit Buntar in Perak. 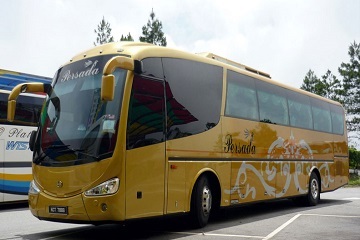 They strived to upkeep the quality of their vehicles and customer service, Persada Travel and Tours (TBS) makes sure that the conditions of the buses are being well taken care of. The coaches are available in single decks of 30 seaters with spacious leg room and comfortable seats that are necessary during long distance journeys. For those who had purchased your Persada Travel and Tours (TBS) bus ticket online through Easybook, be assured that your stop at Terminal Bersepadu Selatan will be a pleasant one as it was built as an integrated transit hub to ease the process for any travellers. Go ahead and start planning your next adventure now within the routes provided by Persada Travel and Tours (TBS). Easybook is available online for you to book the bus tickets anytime you want, or you can simply download our mobile app to purchase it at the palm of your hand. Terminal Bas Ukir Square, Jalan Kuala Ketil, 08000 Sungai Petani, Kedah.